The foodie part of your adventure begins at the Gianyar market where you will discover traditional Balinese cuisine through its ingredients. Delve deeper into the process of food creation with a rice paddy field visit and learn various rice farming methods. 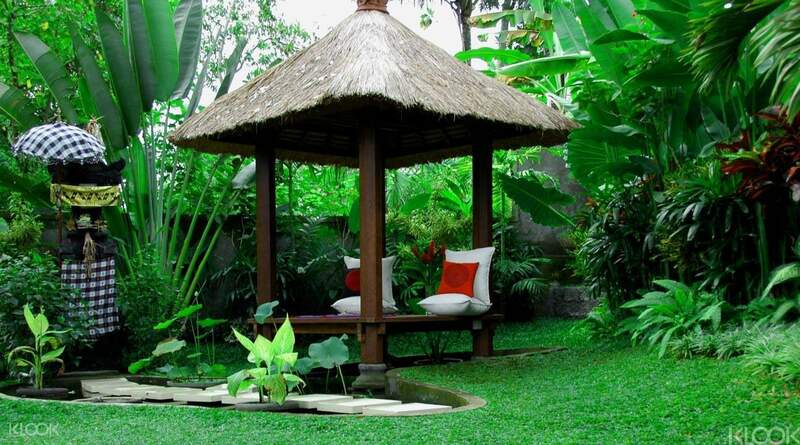 Receive a welcome drink and scrumptious sticky rice pancake snack before rolling up your sleeves for a Bali cooking class where you will create seven dishes including Balinese chicken skewers, black rice pudding and clear mushroom soup. 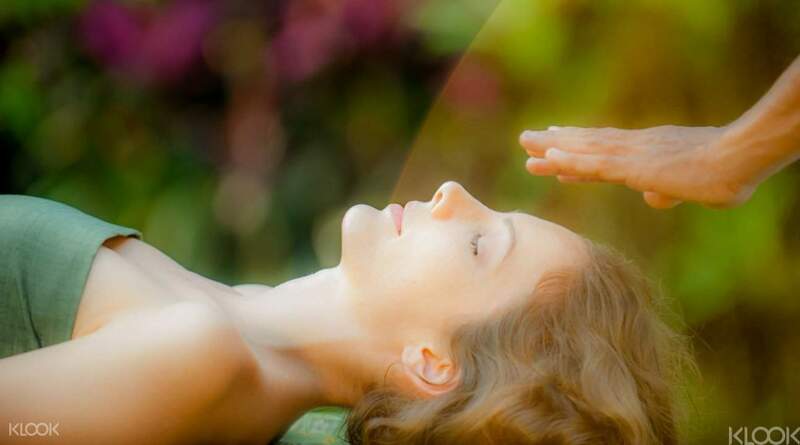 End your day with the unique experience of a traditional spiritual healing session that promises to leave you feeling serene and calm. From the moment we were picked up by our guide, it was a great day. Nyoman was easy to talk to and answered all my questions about Bali and the culture here. 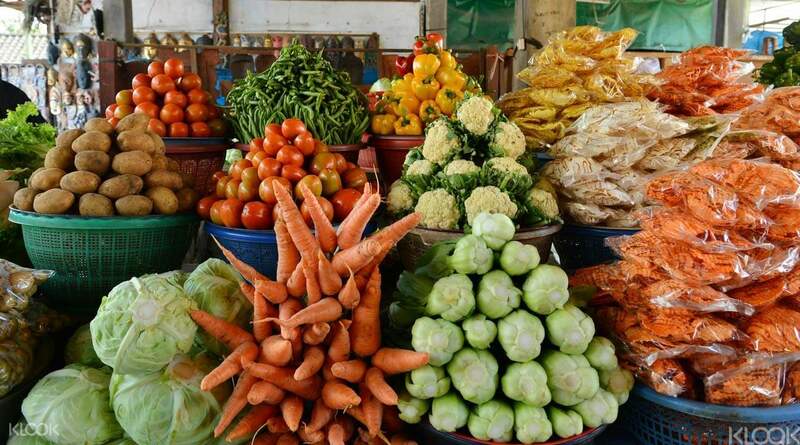 Visiting the market was a true "local" experience of colorful sights and the Balinese culture was abundant. The cooking class was very fun and everything smelled terrific and tasted even better. The healing ritual with a Shaman was intriguing and both my wife and I were impressed. Highly recommend this activity. From the moment we were picked up by our guide, it was a great day. Nyoman was easy to talk to and answered all my questions about Bali and the culture here. Visiting the market was a true "local" experience of colorful sights and the Balinese culture was abundant. The cooking class was very fun and everything smelled terrific and tasted even better. The healing ritual with a Shaman was intriguing and both my wife and I were impressed. Highly recommend this activity. Cooking class well organized and fun! Teacher Ayu speaks good English and teaches well! Cooked 7-8 delicious dishes and ate as lunch. Spiritual healing was surprising and mysterious, an interesting experience. Cooking class well organized and fun! Teacher Ayu speaks good English and teaches well! Cooked 7-8 delicious dishes and ate as lunch. Spiritual healing was surprising and mysterious, an interesting experience. The hotel pickup service is from AsiaWorld. The driver came with a local guide who contacts with the cooking teacher, introduces and explains bali`s culture and fun facts to us. Both of them are very kind and as we skipped the spiritul healing, he brought us to taste luwak coffee and stopped by a circle k as we want to have a look at the bali`s snacks. And the cooking class was awesome! We were joint with other parties which came from different countries. The recipe, direction is clear; teacher is super nice and the cooking was so fun!! The hotel pickup service is from AsiaWorld. The driver came with a local guide who contacts with the cooking teacher, introduces and explains bali`s culture and fun facts to us. Both of them are very kind and as we skipped the spiritul healing, he brought us to taste luwak coffee and stopped by a circle k as we want to have a look at the bali`s snacks. And the cooking class was awesome! We were joint with other parties which came from different countries. The recipe, direction is clear; teacher is super nice and the cooking was so fun!! Great day, class run by wonderful people, food was easy to prepare and delicious as well. Absolute value for money. Great day, class run by wonderful people, food was easy to prepare and delicious as well. Absolute value for money. experiences local market visit is a great experience. 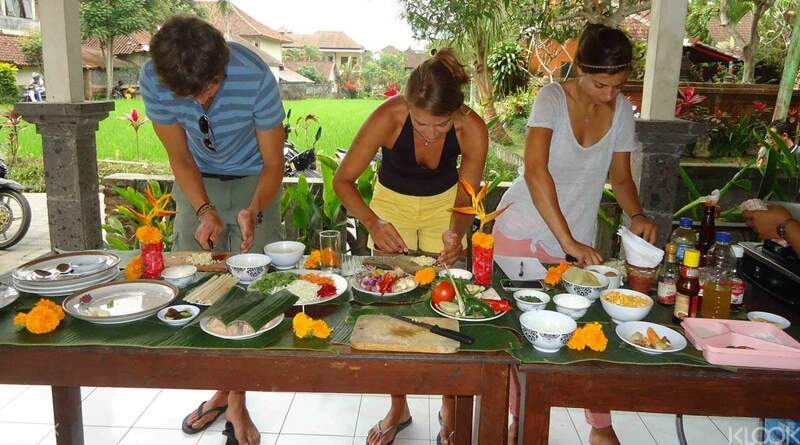 We have enjoy learning balinese cooking and taste the food we cooked. The activity program is good with sharing of recipe to let us bring home. However we found that booking this package at klook is too expensive. The price for this package is double of the price if we booked with others website. Not recommend to book at klook. Other than cooking lesson, we have experience spiritual healing class, this is just an experience to let you know your current health by a teacher (claiming can feel and see of your body health by himself), also tell you your future. Is a special experience but just special, nothing else. experiences local market visit is a great experience. 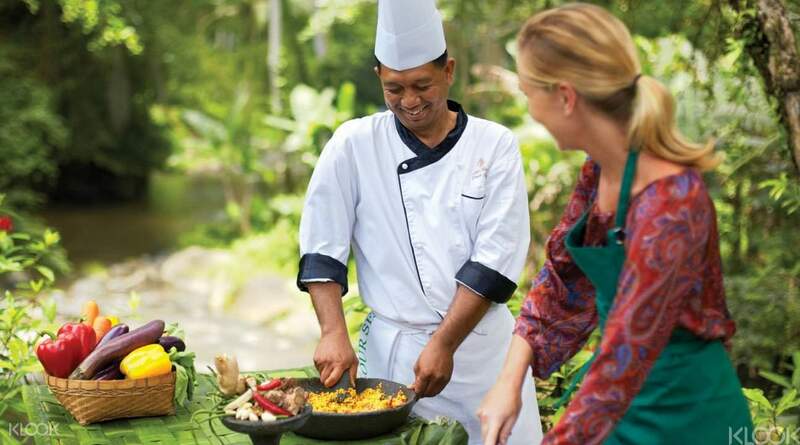 We have enjoy learning balinese cooking and taste the food we cooked. The activity program is good with sharing of recipe to let us bring home. However we found that booking this package at klook is too expensive. The price for this package is double of the price if we booked with others website. Not recommend to book at klook. Other than cooking lesson, we have experience spiritual healing class, this is just an experience to let you know your current health by a teacher (claiming can feel and see of your body health by himself), also tell you your future. Is a special experience but just special, nothing else. It's amazing tour for cooking and Spiritual Healing class,I'm never feeling so magical power!Very cool! It's amazing tour for cooking and Spiritual Healing class,I'm never feeling so magical power!Very cool!